It’s been several years since I’ve last the ridden the train. The last time was through Alaska while “land cruising”. 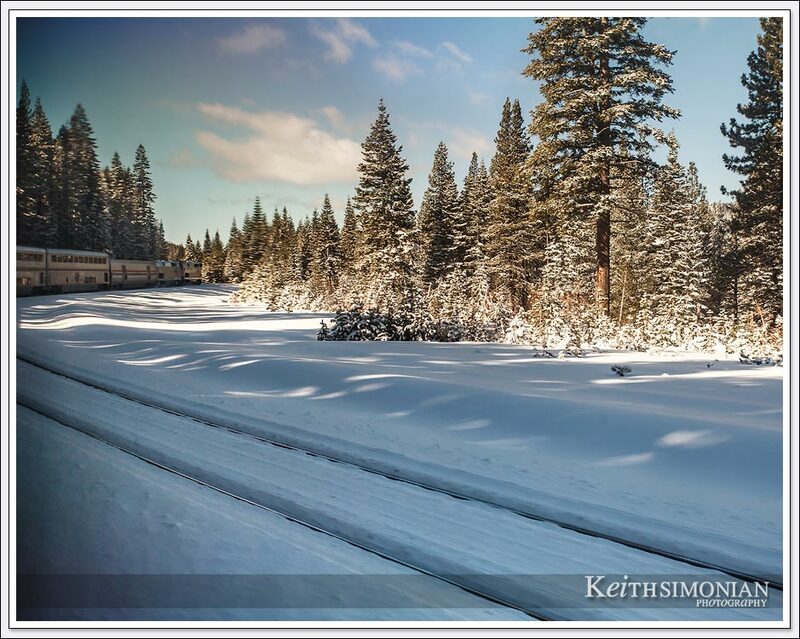 This train adventure would be from Martinez, California to Reno, Nevada and back. 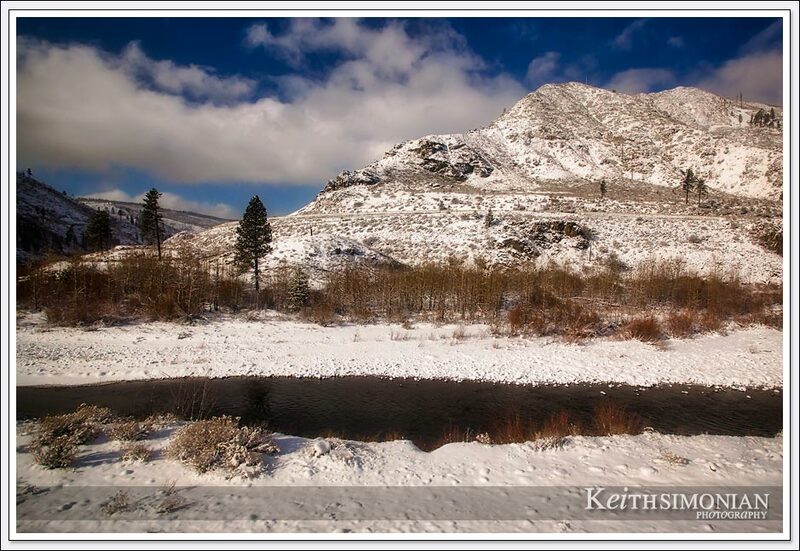 While the train certainly isn’t as quick as driving to Reno, it is more relaxing, and a fresh snow fall make it quite scenic. While Amtrak has a Reno fun train that’s more for partying than transportation, this trip was aboard the California Zephyr which starts in Emeryville, CA and arrives in Chicago, Illinois 51 hours and 20 minutes later according to the Amtrak website. Seems like a long trip, but having flown into Chicago/O’hare airport a couple of times, it’s not too much longer than the time required to taxi to the terminal once you land. Just a stroke of luck, as a Bald Eagle flies over Donner lake as our train passes by. You can view a larger version of this photo at this link – Bald Eagle Soars over Donner Lake. 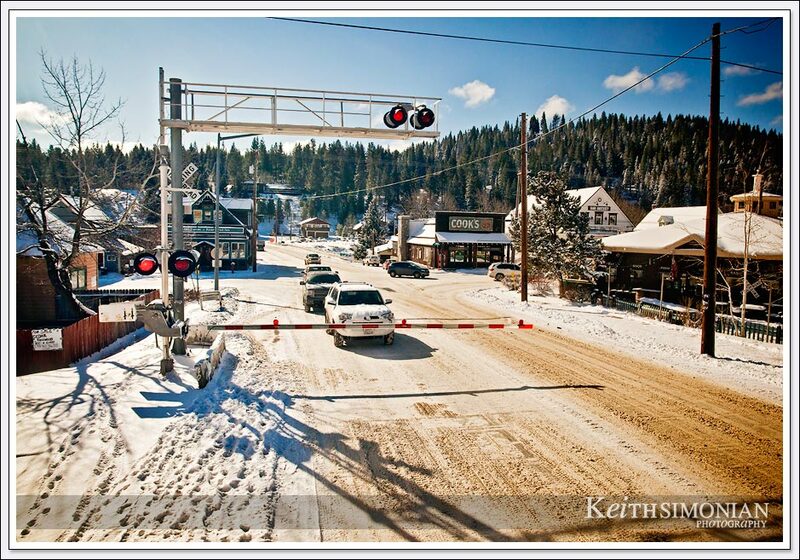 The cars wait as our Amtrak train passes through Truckee, California. 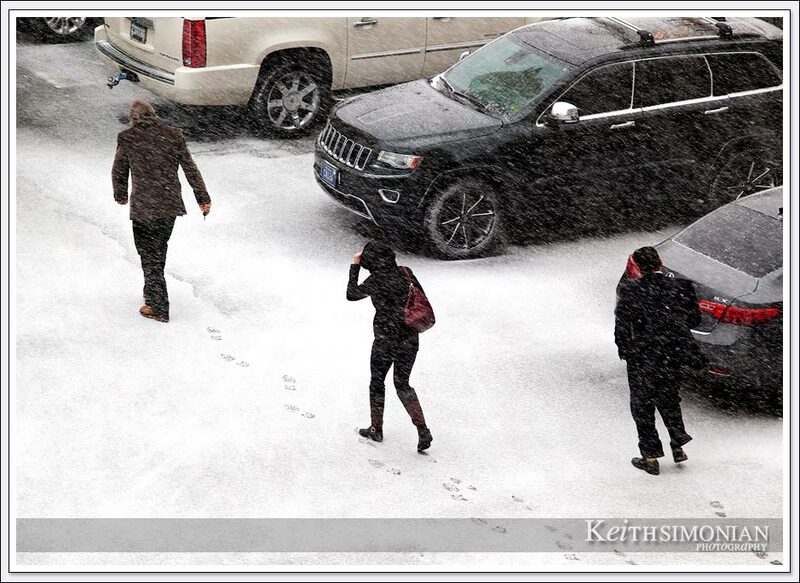 Yes, that is the famous River Street Inn on the left in the background. 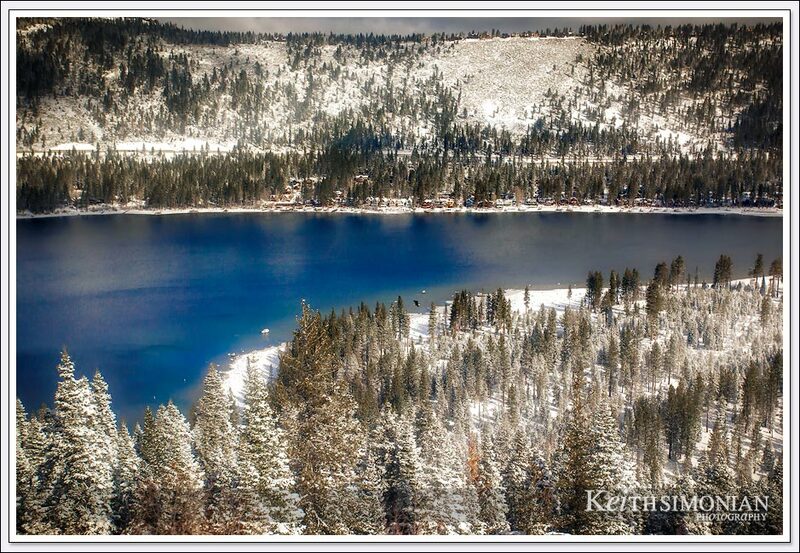 Highway 80 and the Truckee river seen from the train. 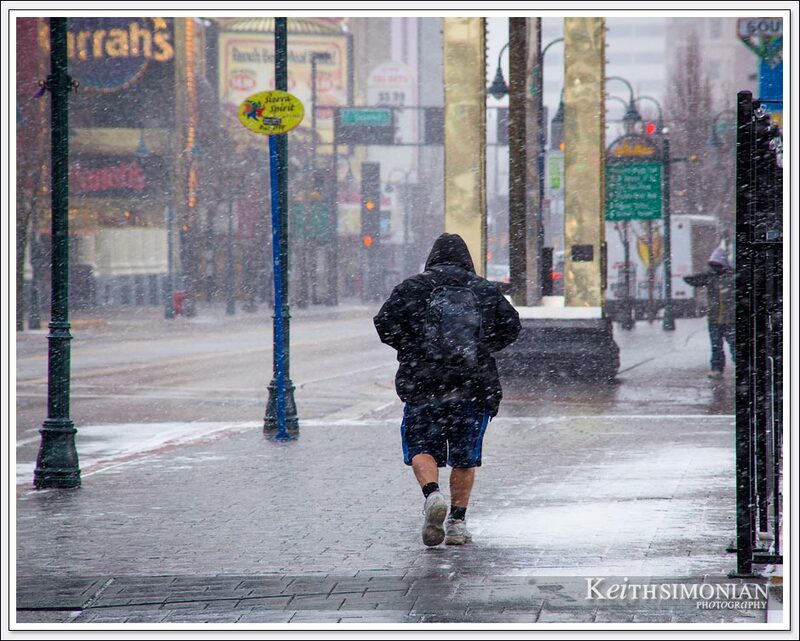 Brave visitor to Reno makes his way through the snow. 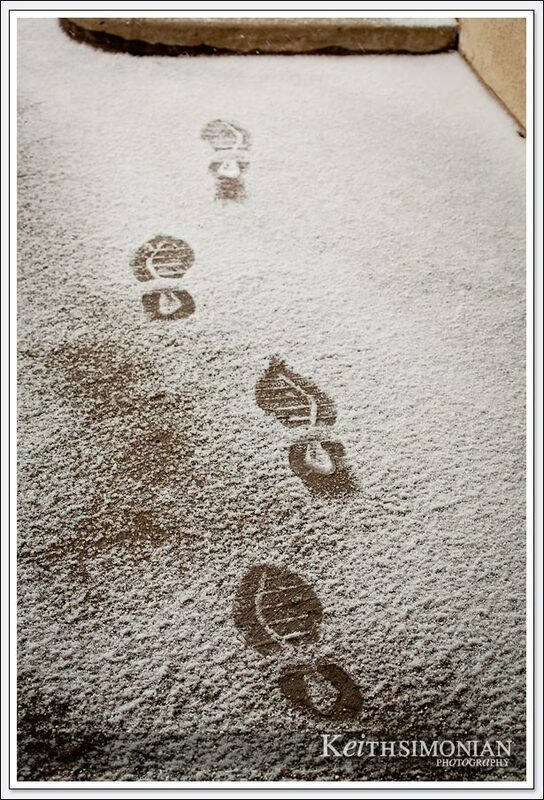 Who wears tennis shoes in the snow? 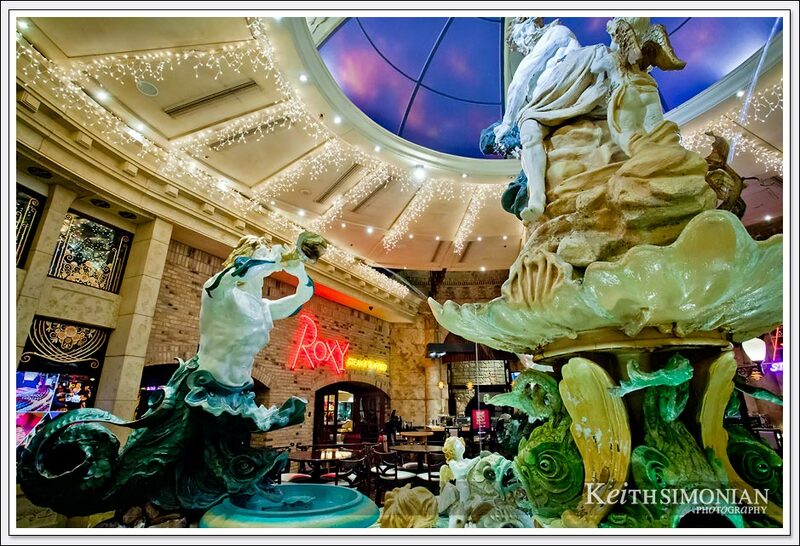 Thought I would try a different angle of the fountain that is between the Eldorado and the Silver Legacy. Blowing snow can make getting to your car an adventure that one hopes doesn’t end with you taking a hard fall on your bottom side. 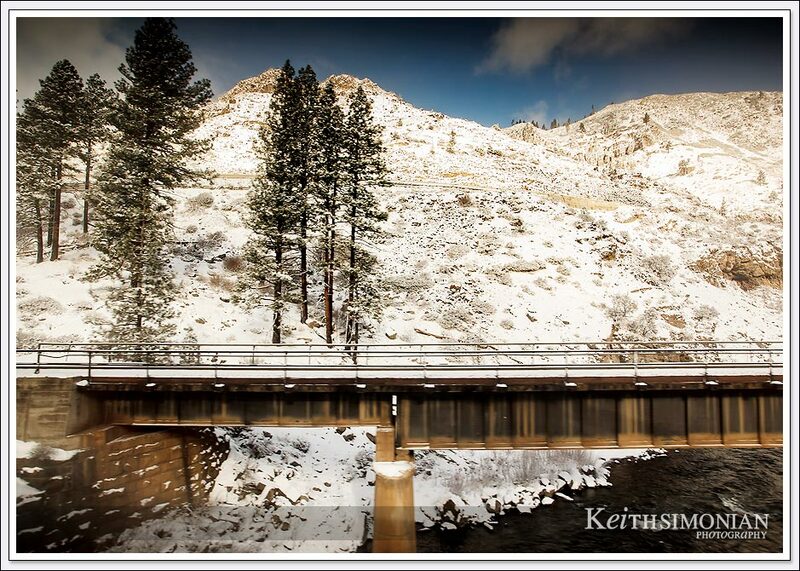 A rail bridge crossing the Truckee river. 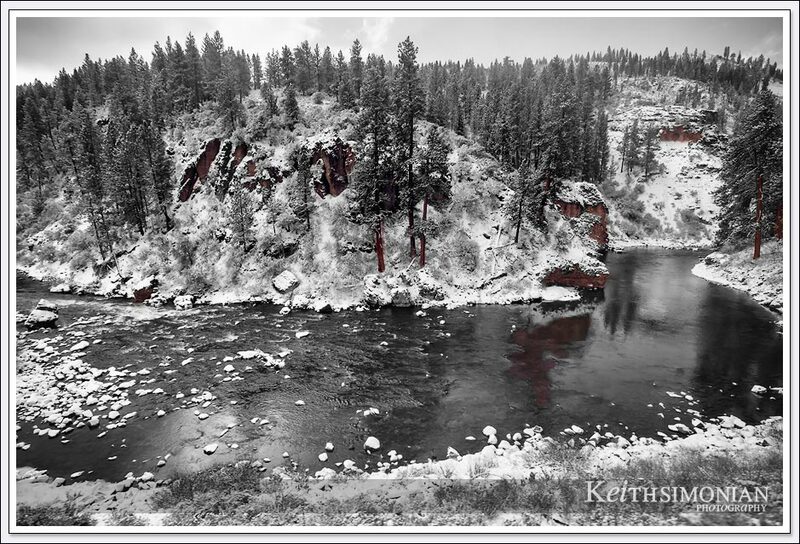 The fresh snow adds to the feel of the Black and White image made of the winding Truckee river. 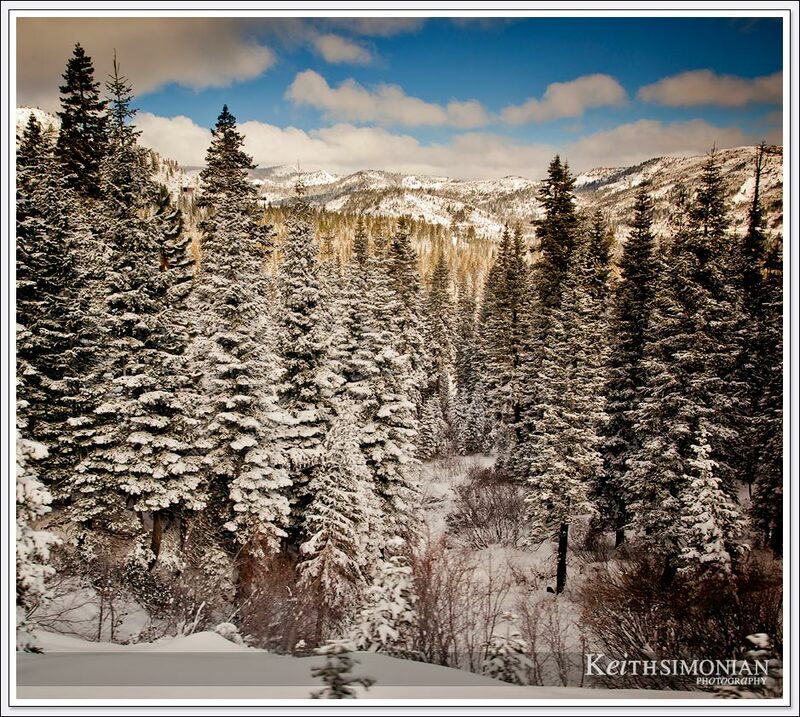 The lead cars of our Amtrak train passing through the Sierra Nevada mountains. 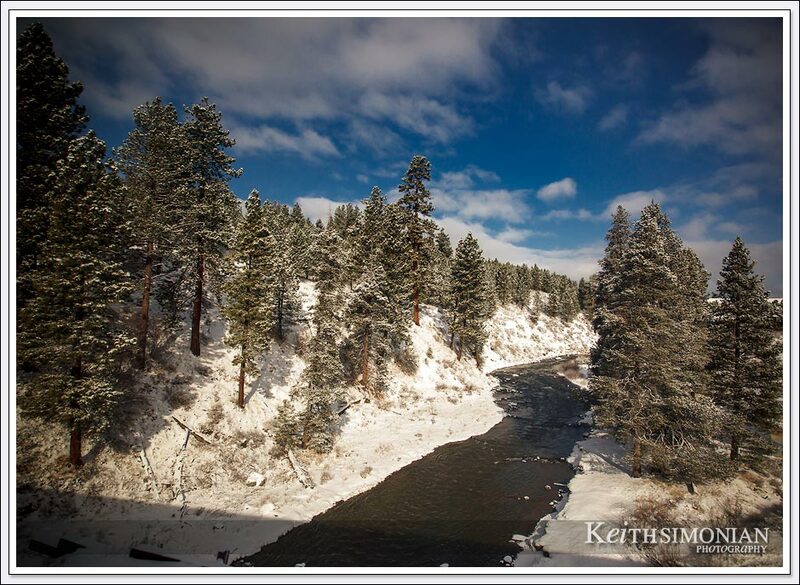 Passing over the Truckee river about Amtrak.